Your credit score. In some households, it’s a bit of a dirty word. That’s because so much of your financial future depends on your financial past. The right credit score can open a lot of doors. It can enable you to purchase a new car or a new home. It can help you take out a loan to start a new business or go back to school. With those kinds of opportunities, it’s no wonder that identity thieves can find so many ways to use your information! But, your credit score is misleading. It’s not really a score. It’s actually three scores. That’s because there are three credit bureaus, not just one. You’re probably wondering why there are three. Wouldn’t it be easier if there was just one? Probably, but you have to understand what a credit bureau really is. The credit bureaus are not government agencies. They are actually private companies. That makes them similar to a car manufacturer, for example. We have multiple credit bureaus for the same reason there are multiple companies that manufacture cars. If the fact that there are three major credit bureaus doesn’t seem overwhelming enough—there are actually more than three credit bureaus. As is the case in the business world, most of the credit bureaus that existed at one time or another have disappeared because one of the main three has acquired them. However, there are still a few stragglers. Innovis is an example. What exactly do the three credit bureaus do? As confusing as it is to think about the fact that there are actually three main credit bureaus, the confusion doesn’t spiral out of control when it comes to what they do. That’s because they all essentially do the same thing. Based on this information, a creditor can decide whether they’re willing to provide you with a loan, and if so, at what interest rate. Keep in mind, just because the credit bureaus track and record the same kinds of information doesn’t mean they communicate with each other. They’re completely separate entities, which brings us to our next point. 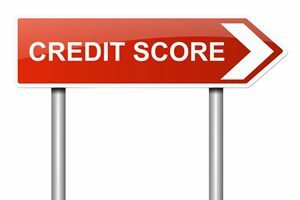 Which credit score should I look at? It would be really easy if you could narrow your sights in on just one credit bureau. Unfortunately, that’s not the case. Not all agencies report to each credit bureau. This is especially true when it comes to non-lending organizations, like utility companies. Even a landlord can report your payment history to a credit bureau, but that doesn’t necessarily mean they’ll communicate this information to all three. When you attempt to take out a loan, most lenders will only check one or two. They can get a pretty good idea of your financial history without checking all three. However, you have to watch all three closely. If an identity thief gets ahold of your information, their activity may show up on one credit score and not another. To make sure your credit is in the clear, you should keep an eye on all three credit bureaus. You can do this absolutely free, but if tracking down your three credit scores on a regular basis sounds like a hassle, consider an identity theft protection plan. It’s their job to keep an eye on the three credit bureaus so you don’t have to. Knowing that there are three credit bureaus is half the battle. No that you know your financial future rests on three different sets of shoulders, you can take the steps to make sure you have three stellar credit scores.